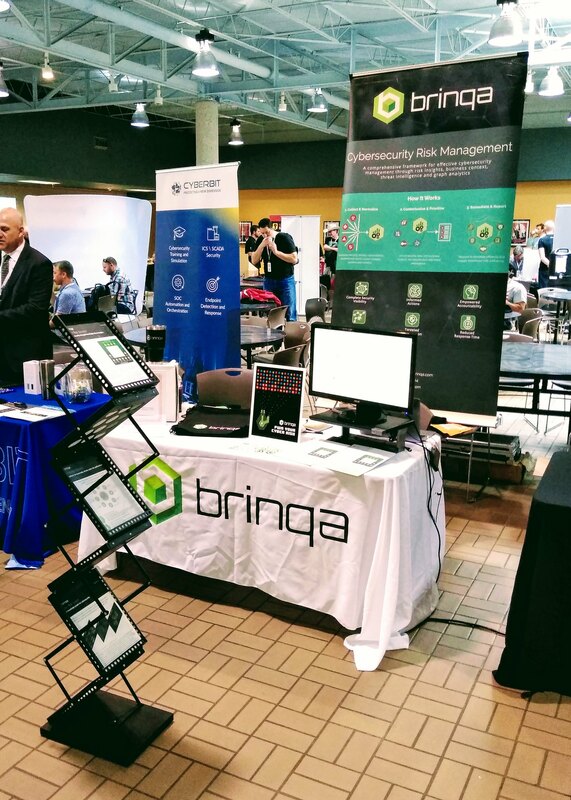 Brinqa was excited to be a part of the 10th Anniversary BSides Austin event at the J.J. Pickle Research Center on March 28-29, 2019. The venue was just a couple of miles away from our headquarters office, and the room was chock-full of brilliant minds in the cybersecurity realm. We were fortunate to meet some new partners, refresh old connections, and learn about the latest in what major brands and city governments are doing to protect their network infrastructure. Brinqa was the first booth setup on Thursday the 29th, we were by the coffee center and it made for some fun conversations over the first cup of the day. As the event came to a close on Friday afternoon, we were the very last exhibitor in the hall – ready to answer questions and share ideas. We made some very valuable connections in the last 20 minutes! We can’t wait to hold the meetings and demos with all the interested companies. Thank you to all who joined us and those who brought associates along. If there were any questions or ideas that came out of the event, please don’t hesitate to reach out to us. We hope to see you at the next event, CLICK HERE to see our schedule for the rest of 2019!